How to make homemade bread. There are few aromas more delightful than the smell of home baked bread. It's an activity that has diminished in the hectic pace of modern life, but it's a very satisfying and rewarding experience. Who doesn't love the smell of homemade bread baking in the oven? I find the whole process of making bread to be very theraputic. I can stand and knead the dough and just let my mind wander, it's so relaxing. I guess it's also a way to relieve some of that pent up frustration and stress...something physical. It's the pushing and turning, the wonderful smell of yeast and dough, the simplicity and hominess of our daily bread being formed with my own two hands. If you have never tried making your own bread, you'll be surprised how easy it is! Here's one of our favorite all purpose recipes. Nothing fancy, just plain old-fashioned white bread. Enjoy. 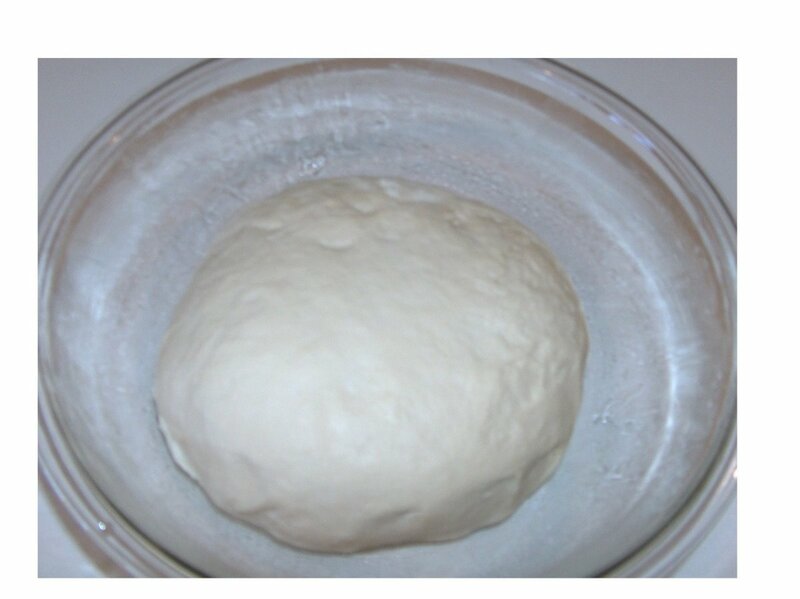 How to make yeast bread. How do you make bread? Baking bread at home is easier than you think. Perfect homemade bread every time! Good bread is the most fundamentally satisfying of all foods; and good bread with fresh butter is the greatest of all feasts. Bread has been around for over 10,000 years. The Egyptians are credited with inventing the oven and discovering leavening agents. Flour milling is credited to the Greeks. The Romans improved on the process, and then brought the art of bread making to Europe. 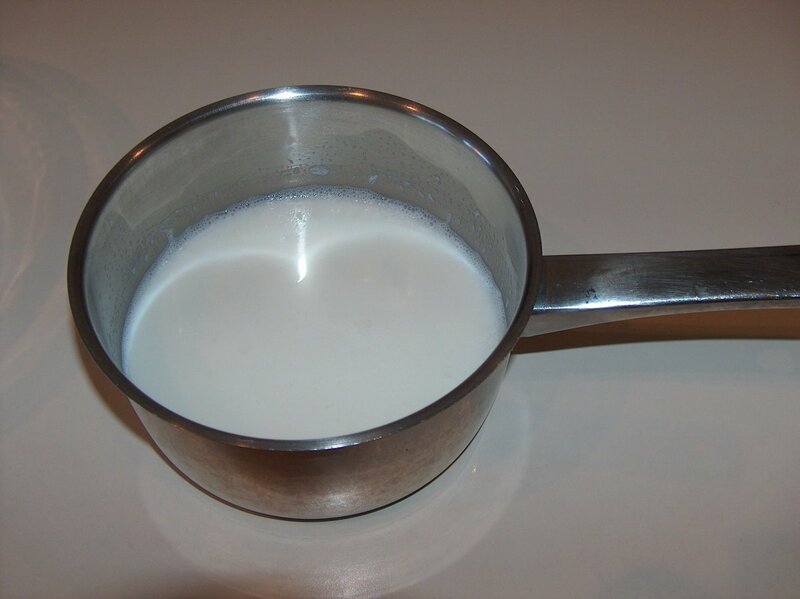 Place 2 cups of milk in a small saucepan. Scald the milk, then allow to cool. Scalding milk means bringing it nearly to a boil, preferably in a thick-bottomed pan. You will need to stir regularly to avoid having a protein skin form on the surface and to keep the milk proteins and sugars from sticking to the bottom of the pan. Scalding serves to kill potentially harmful bacteria in the milk and destroys enzymes that keep the milk from thickening in recipes. Your milk will be scalded when you see tiny bubbles begin to form along the edges. A crucial step in the success of bread baking! 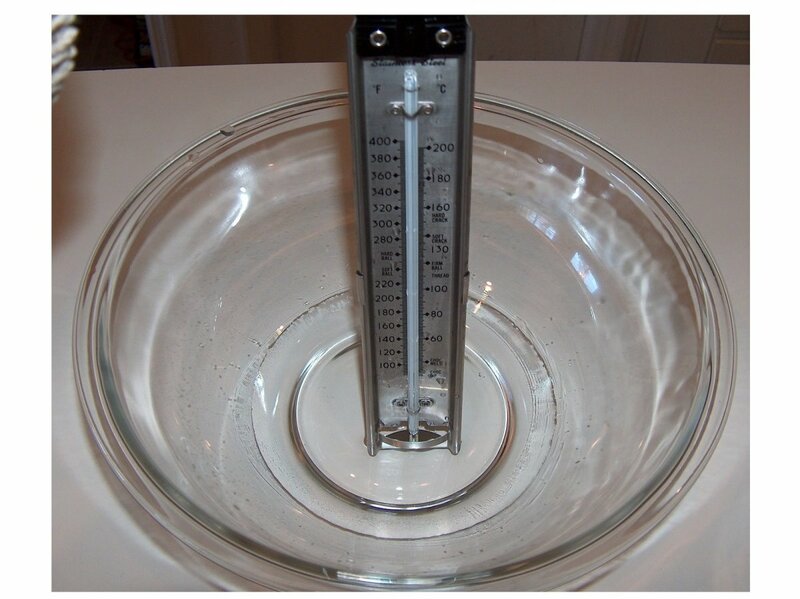 Warm 3/4 cup water to 105-110 degrees F.If the water is not warm enough, the yeast will not be activated. If it's too warm, it will kill the yeast. Use a thermometer until you know by feel the exact temperature you need. This is a crucial step in the success of bread baking! Dissolve the yeast in warm water to proof. 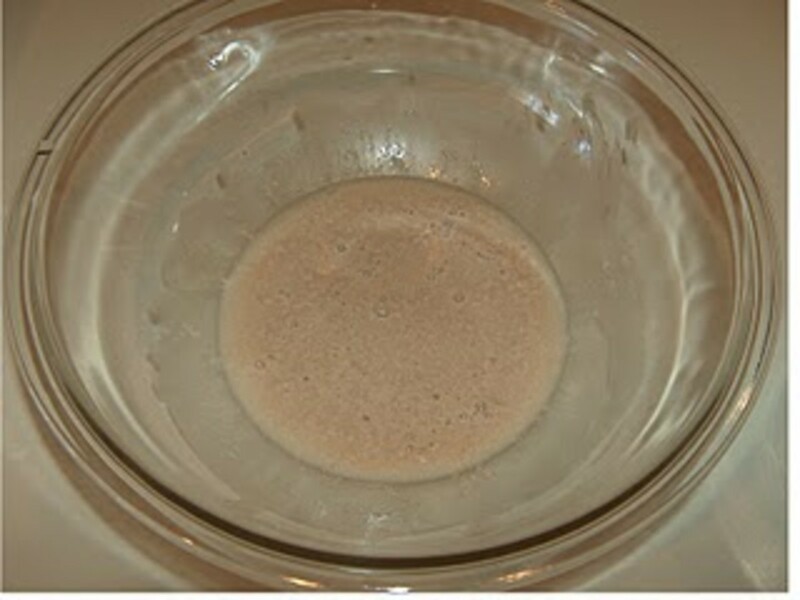 Dissolve the yeast and 1 T of the sugar in a large bowl with the warm water. To activate yeast the first step is called proofing and is a way to test the yeast to make sure it is alive and still active. 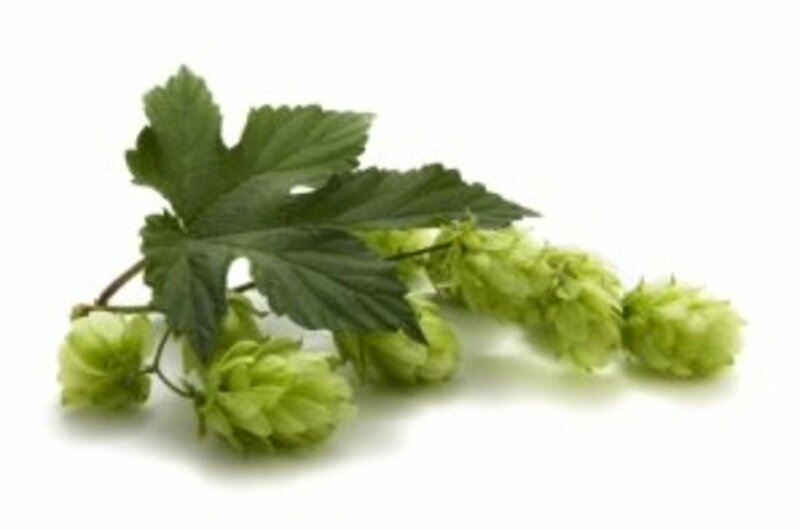 This is accomplished by mixing the yeast in a warm liquid. In order for yeast to become very active it needs food. It's favorite food is sugar, simple sugars to be precise (glucose and fructose). Stir in the scalded milk, remaining 2 T sugar, shortening, salt and 4 cups of the flour into the proofed yeast mixture. Beat until smooth. Mix in enough of the remaining flour to make the dough easy to handle. 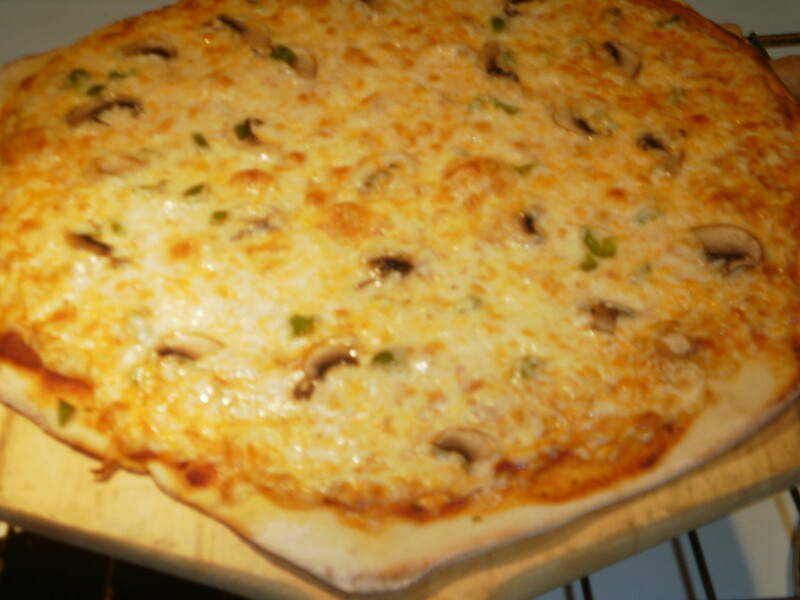 I usually turn the dough out on a floured board and work the additional flour in by hand. This way I can get a feel of the dough and a better sense of when it's had enough flour. The dough shouldn't be sticky. Knead the dough on a lightly floured surface. 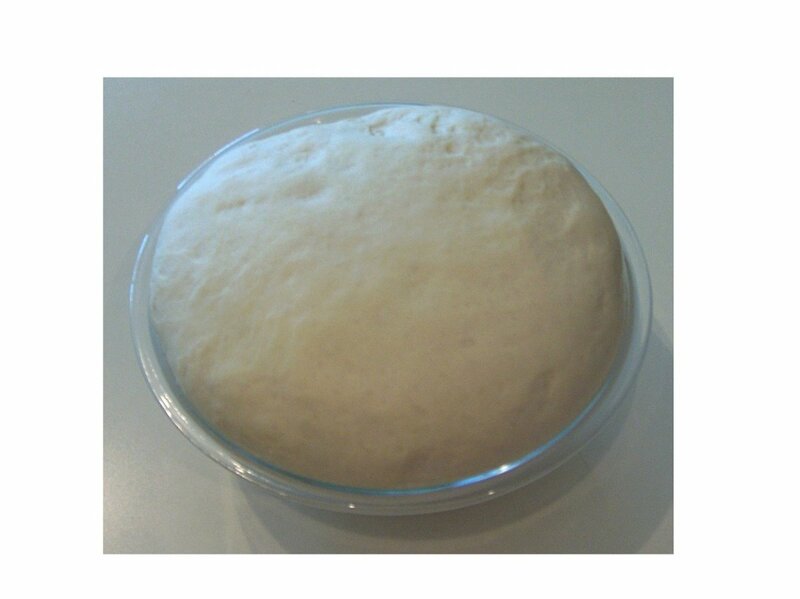 Knead the dough on a lightly floured surface until smooth and elastic; about 10 minutes. Place in greased bowl; turn dough over in bowl until greased side is up.This will prevent the dough from drying out as it rises. Punch down dough; divide into halves. Roll each half into rectangle, 18x9 inches. Roll up tightly, beginning at narrow end. Pinch edge of dough into roll to seal well; press in ends of roll. Press each end with side of hand to seal; fold ends under. 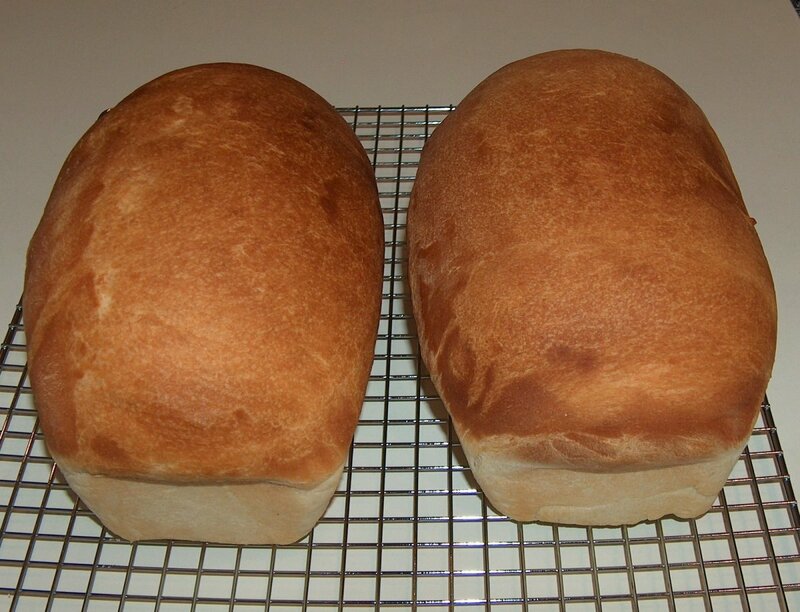 Place loaves seam sides down in 2 greased loaf pans, 9 x 5 x 3 or 8-1/2 x 4-1/2 x 2-1/2 inches. Brush lightly with butter. Let rise until double, about 1 hour. Heat oven to 425 degrees. Place loaves on low rack so that tops of pans are in center of oven. Pans should not touch each other or sides of oven. Bake until loaves are deep golden brown and sound hollow when tapped, 25 to 30 minutes. Immediately remove from pans. Brush tops of loaves with butter; cool on wire racks. There are many great bread recipes, whether you make your bread by hand the old-fashioned way, or you use the convenience of a bread machine. When you want to learn how to make bread, there are many great bread machine recipes including a great banana bread recipe which can be made directly in the bread maker. Today, many people are trying to find new ways for how to save money on their grocery bills. Everyone wants to make their dollar stretch a little farther and making your own bread provides a healthier and cheaper alternative than store-bought. Also, many of our easy, family tested recipe favorites are also very gentle on the budget as well. If you are familiar with crockpot cooking, you might be surprised at the results you can get from using clay pot cooking. This method is very similar to a crock pot, in the sense that you simply add the food and let it cook, but the results are absolutely amazing. The food is much more flavorful and succulent, and the cooking process takes little more than filling the clay pot. It's something your family will surely enjoy. If you liked our article on how to make bread, please visit one of our other delicious recipes. We have some very easy to make and extremely kid friendly chicken strips made from chicken breasts and a delicious one pan Fruit Crunch Cake for a quick and easy desert. 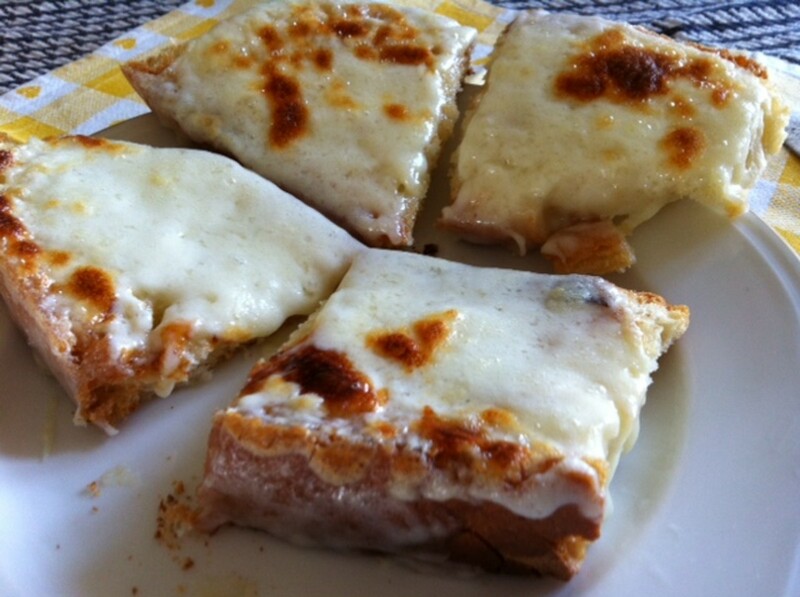 One of our families favorite breakfast items is a yummy breakfast pizza that is always a hit. We've used these recipes over and over and the results are always delicious. Saving money on groceries does not have to mean depriving your family.! This homemade Chicken Pot Pie recipe is easy, delicious and chock full of veggies. With only 15 minutes of prep time, you'll have this in the oven and baking in a flash! 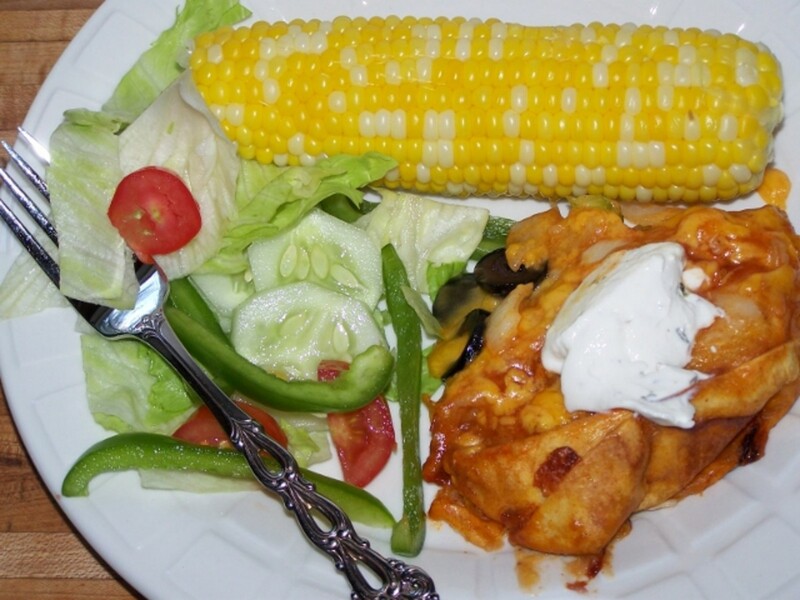 Quick Easy Chicken Recipe - Chicken Finger Recipe Wondering what to make for dinner tonight? Try this simple chicken breast recipe. Hi Bob, I'm glad to hear you're going to start making your own bread. If you haven't tried it before, you're in for a real treat! We have decided to bake our own bread so this hub is most helpful, thanks. I think a lot of people have the impression that making bread is complicated or difficult. Fortunately, it is so simple and nothing compares to the wonderful smell of bread baking in the oven. Yummy! Bread is o easy to make, i csn't understand why more people don't make their own. Although it doesn't last as long but it tastes so musch better. thanks for the hub and informative pictures. Great Hub. I'm not a great cook but I do make my own bread most of the time, and love experimenting by adding different ingredients to it. 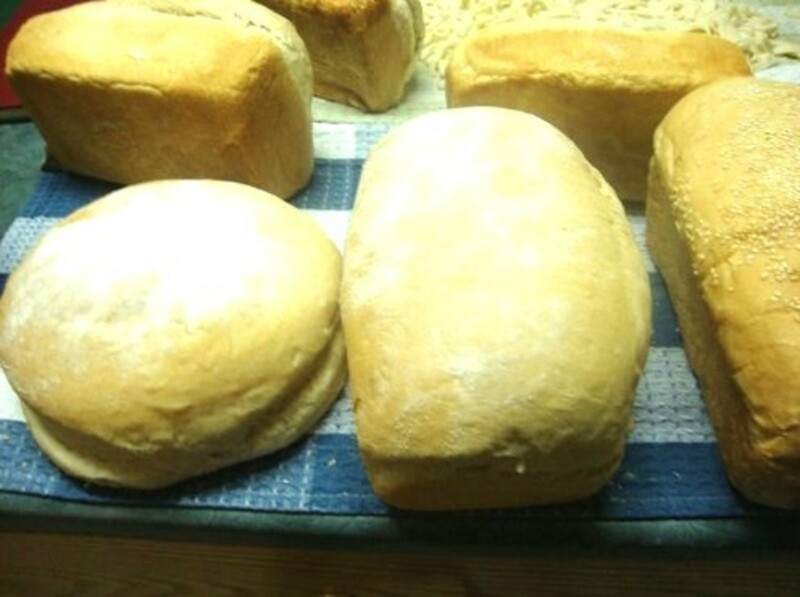 It really is simple and quick to make your own bread - No need for a 'Bread Maker' because once you've done it a few times, it's really a no-brainer! Hi Polly, I hope you like it! I love the smell and taste of fresh bread from the oven, and it certainly brings my kids running :) Thanks for reading. Hi cwarden, making bread is really not very difficult. You should give it a try! I agree, there is nothing like the smell of fresh break, I just LOVE it and it always brings my kids to the table fast! Reading this and looking at your pictures has made me wish I was a much better cook! Nothing like fresh hot bread. Very nice! Hi angela, I've never used chia flour myself, but if you are trying to go completely gluten free you might need to get a good cookbook to get your started. If you just want to incorporate some into your diet, you could probably start substituting small amounts ... like 1/4 of the flour with chia flour and adjust according to the feel of the bread. Good luck! can you please help me incorporate Chia flour in the bread? oh yea, nothing better than hot bread and butter. Yummy! Thanks for stopping by. I like hot bread when it first comes out of the oven. Thanks for the visual. I hope you like it Origin. Thanks for stopping by! I've always liked fresh bread! I'll have to give this a shot! Thanks! Thanks Darren ... I agree, aromatherapy! I used to make my own bread at home like 10 years ago. I am inspired to start doing it again. Homemade bread baking in the oven just fills the house with the best smell ever. Fantastic aromatherapy. I agree! We have a bread machine and love it for its convenience, but it doesn't replace our homemade bread baking in the oven. Thanks for your comments. Thanks stacies29, let me know how you like it! This sounds delicious. I am gonna try it out. Great hub. Cybersupe, it's those nostalgic memories that warm my heart. I think there is something that really touches us, it brings us back to hearth and home. Fresh baked bread does the same thing for me! Thanks for sharing. WOW Lamme--You hit a soft spot in my heart--I am the All Time bread lover. It all started when I was a baby, during the Great Depression, when my Mother( who is now 97) served me bread in warm milk. That was the begining of my Love for Bread. I Look forward to more of your awesome hub's. Very well done. Thanks for taking the time to teach us well. Yum! Thanks bingskee! I hope you enjoy it. oh, i love, love this hub! am gonna try this one day. am just not sure when (arggh.. the busy sked!). You know, before coming over here, I had no idea of how to make bread. I'm bookmarking this and will be coming back to giving this a shot! 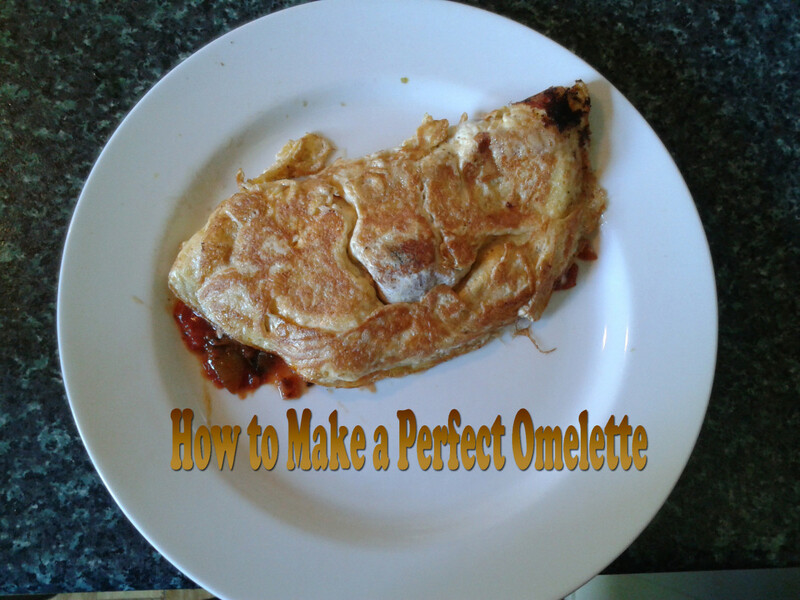 Thanks so much for sharing such a comprehensive, easy-to-follow recipe. Thanks kaja_mel, I appreciate that! Thanks for the hub. I have it bookmarked. Thanks Sally ... I was thinking the same thing about the issue of making bread at school. It's so sad that it's come to this. I hope all who read your Hub will dive into the homemade, handmade bread-baking experience. Your instructions guarantee a couple of heavenly loaves. If you don't mind, Lamme, @ jayjay, I am so sorry to hear that you can no longer bake bread with the children at school. Our society has become an agent of restriction rather than a model of trust, health, and self-sufficiency. Yet, you can probably bring homemade cupcakes to soccer practice...but what does that teach the children about making cupcakes for themselves? Thanks jayjay40, I love making bread too! There's something very relaxing about it. I love making bread there is something so therapeutic about it. Used to make it with the children at school until health and safety says you have to have a food handling certificate. Great hub, love the way you broke it up into easy to follow steps. You're welcome saravai ... thanks for stopping by! Thank u Lamme for sharing this hub about homemade bread. You are so right, askjanbrass ... quick breads are fast and delicious. Our favorite is lemon bread, but there are thousands of combinations to try. We used to make a wonderful chocolate zucchini bread. The nice think with quick breads is you don't have to let it rise, or fuss with kneading the dough. Yummy stuff. Thanks for your comment. You can make a lot of great breads without having a bread machine. No-knead breads are particularly fun to make and require little to no tools. Thanks drbj, I think there's something that touches our soul when we smell bread baking. It's one of those things that brings us home ... it's so comforting. Maybe that's why I'm so passionate about baking my own bread. Thanks for reading. I could almost smell the aroma of baking bread while reading this fascinating article, Lamme. Did you know that when you want to sell your home, it's a great idea to have bread baking in the oven. The aroma often produces a pleasant, homey atmosphere that puts the buyer in a pleasant, homey mood. Thanks for creating that mood. Thanks hubpageswriter ... nothing like fresh homemade bread! Such a cool hub, I didn't know that the process can be made simple by breaking it up into steps. Hub up.